Are you in the market for new glasses but do not want to break the bank? Well, I was introduced to a site that can certainly help you out. 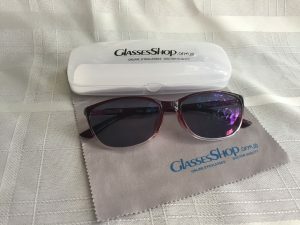 GlassesShop.com has so many options to choose from. Glasses frames for every shape and size of faces, many colors and designs to choose from. 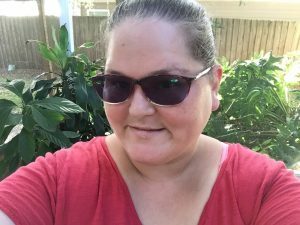 They provided me with a pair of glasses to check out their service, and although I did not need prescription sunglasses they were able to assist me with making a pair into regular sunglasses. I picked the Lena Oval in Purple as I do not like my glasses touching my cheeks, these fit me great. They are light and comfortable. Shipping was very quick. They come in their own carrying case and a very nice sized cleaning cloth as well.